A new art installation to celebrate everyday heroes in Bearcat form arrives next spring. CINCINNATI -- Remember the Big Pig Gig from 2012, during which painted pigs took over the sidewalks of Cincinnati? Get ready for Hero Bearcats , a new public art project will highlight everyday heroes the Bearcat way. “As we start talking about ways to engage with the Cincinnati community, what better way than to take on our lovable mascot and get him out in the market place?” University of Cincinnati director of trademarks and licensing Marty Ludwig said. The new campaign will soon blanket the area from downtown to UC’s campus to Liberty Center beginning next spring. There will be 30 installations in total. 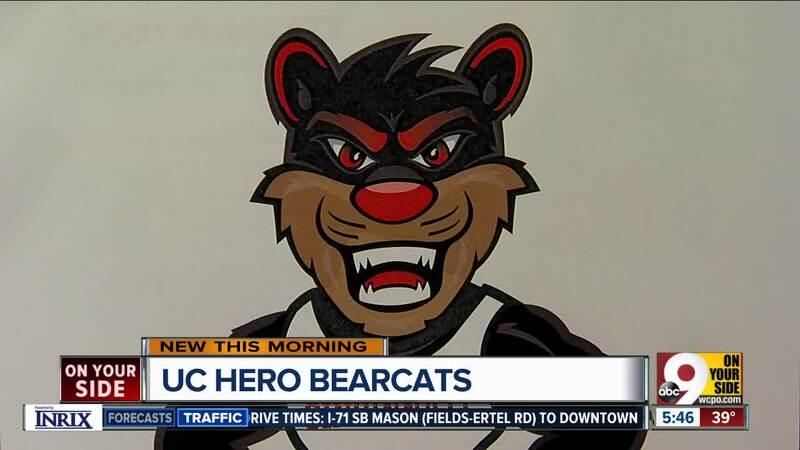 Artists will decorate the Bearcat statues based on a hero theme. The program will partially benefit the Bearcat Pantry , which is opening a new space to address a growing need. “The Bearcats food pantry was created out of student life to help with students or community members with food insecurity,” Ludwig said. Money raised through sponsorships will also go to scholarships and health initiatives. Artists can submit designs until Oct. 28. If selected, those artists will get $1500 to bring their vision to life. The project will coincide with UC’s bicentennial celebration in 2019. If all 30 Bearcats are sponsored, more will be produced. Kroger and UC Health are already signature sponsors.